Our British Columbia sea kayaking expeditions through the outer coast of Kyuquot Sound, Checleset Bay, the Bunsby Islands, and to the Brooks Peninsula explore one of our planet’s finest coastal areas. On the western edge of Canada, you will feel the power of the open Pacific while experiencing diverse marine life and Indigenous culture. Appreciate kayak tours for kayakers! 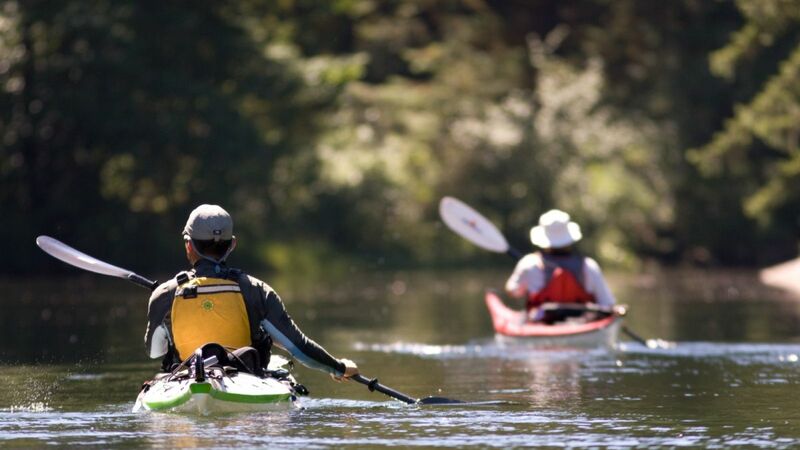 Many experienced kayakers consider the Kyuquot Sound and Checleset Bay areas as their favourite BC kayaking destination and return whenever possible. For us, it’s our chosen place and home - we welcome you! 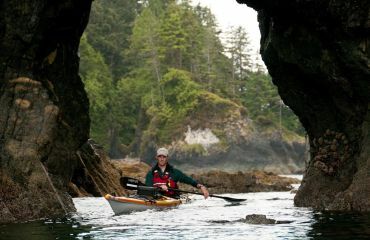 Truly “get out there” experiencing Canada’s rugged, beautiful, west coast kayaking - Vancouver Island adventure travel at it's best! Paddle here just once – rising and dropping with the breathing ocean, senses on high alert – and you'll be hooked. There is something primordial about bobbing in a tiny kayak on the edge of the Pacific, where one is literally staring into the void. Beginning with the comforts and resources at our Wilderness Retreat base camp on Spring Island, you will feel rested, oriented, organized, and ready to fully explore the area. 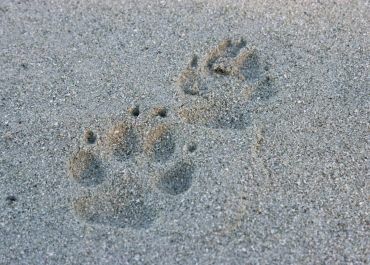 Once enroute on the multi-day expedition away from our base camp, you will visit numerous sheltered and exposed beaches and islands, fascinating Aboriginal cultural sites of the Ka:'yu:'k't'h'/Che:k:tles7et'h' (Kyuquot/Checleset) First Nations people, and diverse overnight camping options. 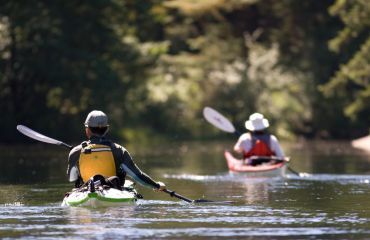 You will change camping sites 2 to 4 times during these kayaking adventures, making the most of each area along the way. 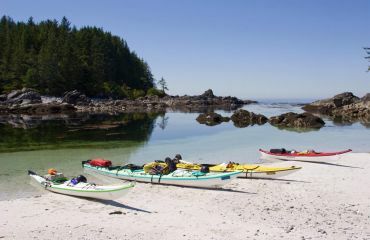 You will paddle across islet-strewn Kyuquot Sound or through the wild riches of Checleset Bay Ecological Reserve and the Bunsby Islands and toward the dramatic Muquin/Brooks Peninsula Provincial Park. We operate with important First Nations permissions and BC Park Use Permits in place - fully respecting the areas we visit and honouring long-standing local relationships. 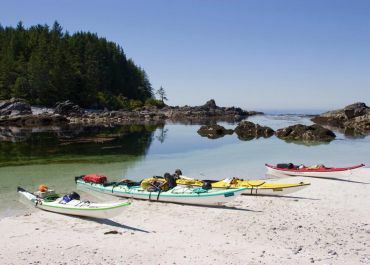 These 6 to 9-day expedition-style west coast kayak trips are best suited to people with previous sea kayaking and camping experience so fully able to appreciate and enjoy this rugged and remote paddling destination. This is a photographer’s paradise, and people have been known to pack a mask and snorkel – we can show you a few tricks to make this a warmer experience! 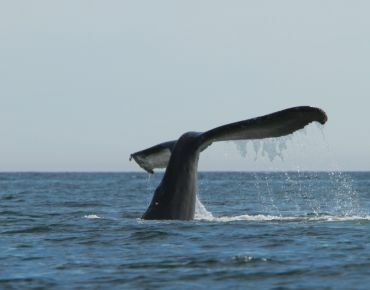 Enroute to Rugged Point or the Brooks Peninsula, you are likely to share the ocean swell with diverse marine creatures, enjoying some of Vancouver Island's more remote whale watching that can include: killer whales, Minke whales, grey whales, and humpback whales. 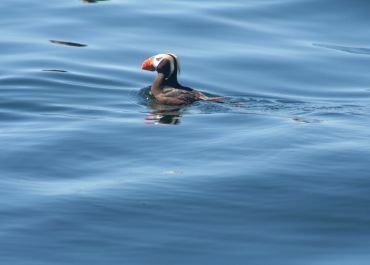 Other exciting wildlife viewing can include harbour porpoises, Stellar sea lions, sea otters, tufted puffins, marbled murrelets, and even occasionally the giant mola mola (sunfish)! Zoom in on this map to get a sense of the area covered during each expedition.